Add yeast, sugar and vanilla in warm apple juice, stir well. 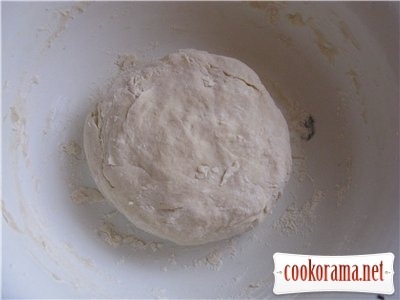 Add flour gradually and knead a dough. 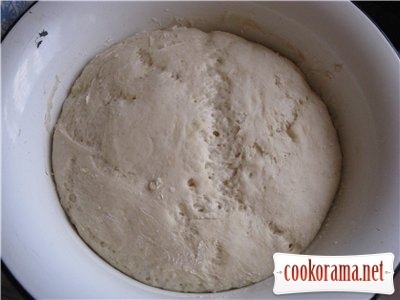 Knead dough until smooth. 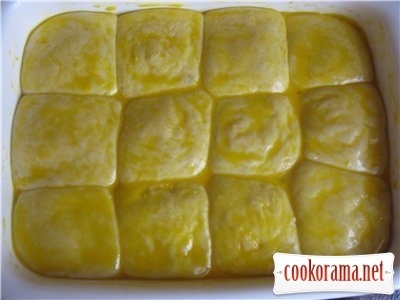 Pour 2 tablespoons of oil in a casserole, grease bottom and sides. Put dough there and grease dough with oil. Cover and put in a warm place for about 1-1,5 hours. Peel apples, core and grate them. 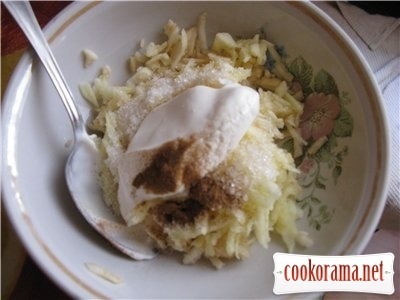 Add sour cream, sugar and cinnamon, stir well.Ready. You can use anyfruits for stuffing. 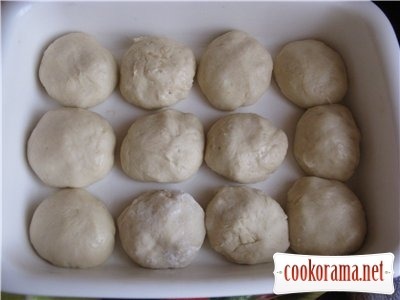 Stirl dough and divide into a balls. Make a disk from each ball, put stuffing inside, fix edges and make a ball again. 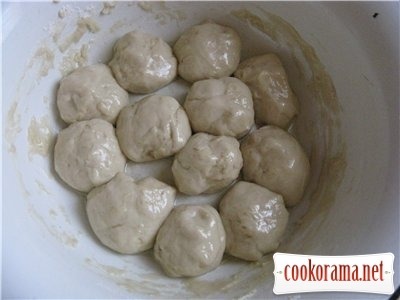 If dough is stick to hands then add more flour. Put it into a baking dish, covered with paper and greased with oil. Cover and put in warm for 15 minutes. 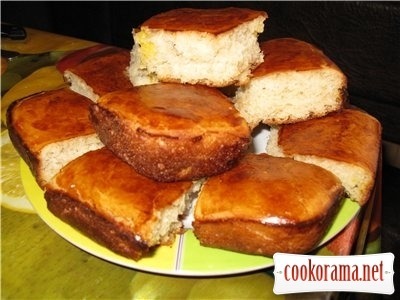 Whip up milk with yolk and grease our buns with it. 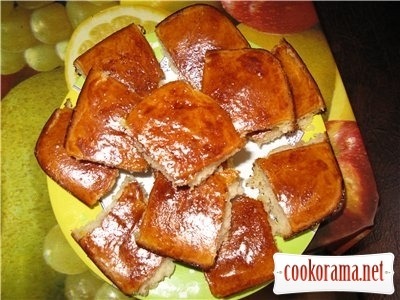 Put buns into preheated oven to 180-200 degrees C, bake until rosy crust and sweet aroma. 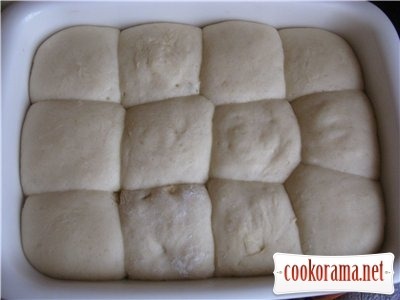 Get out the oven and cover for 10 minutes. 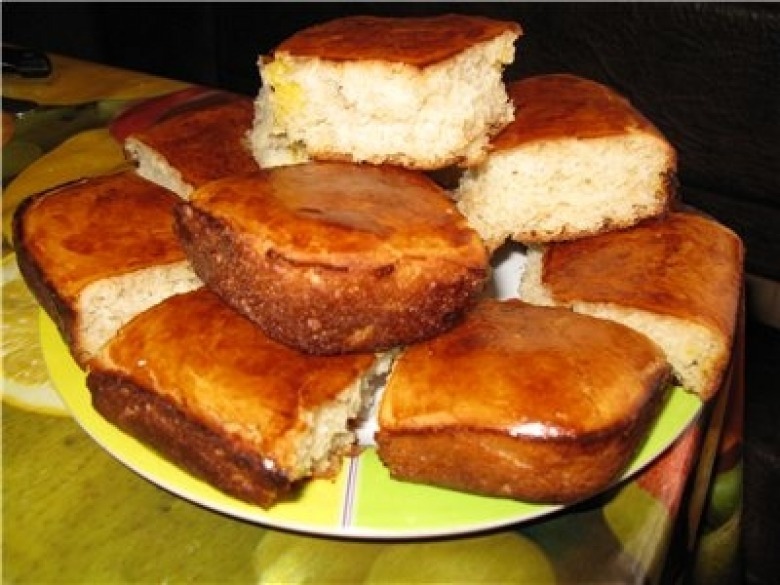 Top of recipe "Sweet buns with apple juice and stuffing"
Випічка на соці, навіть не чув про таке. 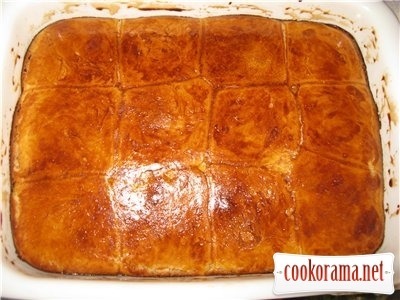 Класно придумано. Дякую, також перший раз почула і вирішила приготувати. Lana, дякую за підказку, може дийсно треба білоше місця, на другий раз спробую. А ще я думаю, що спочатку змастити яйцем, а потім дати підрости 15 хв., а то я змастила і вони обпали. Коли вони спеклися, то виглядали як один пиріг, але все одно ламалися на окремі булочки, хотя і роблять же такі пироги. Дякую, дійсно дуже смачно і ніжно вийшло.